Active Users is a free app that puts Google Analytics Real-Time in your Mac's menu bar. 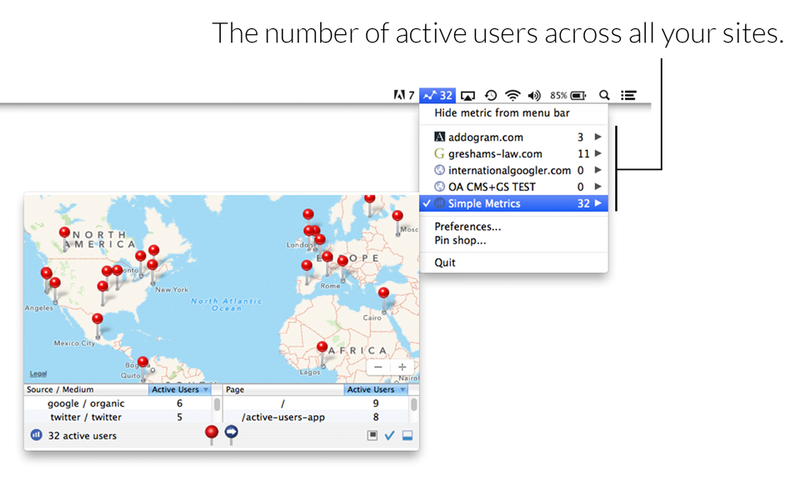 Active Users is an app for Mac that puts Google Analytics real-time in your menu bar. It lives in the top right of your screen (next to the battery indicator) and enables you to integrate real-time analytics into your daily workflow. 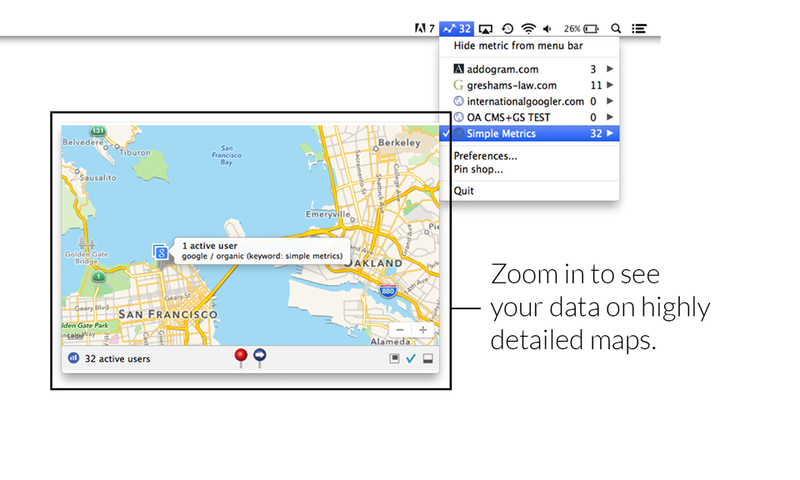 Display the number of real-time active users on your site in your Mac menu bar. Quickly view the number of active users across multiple sites. 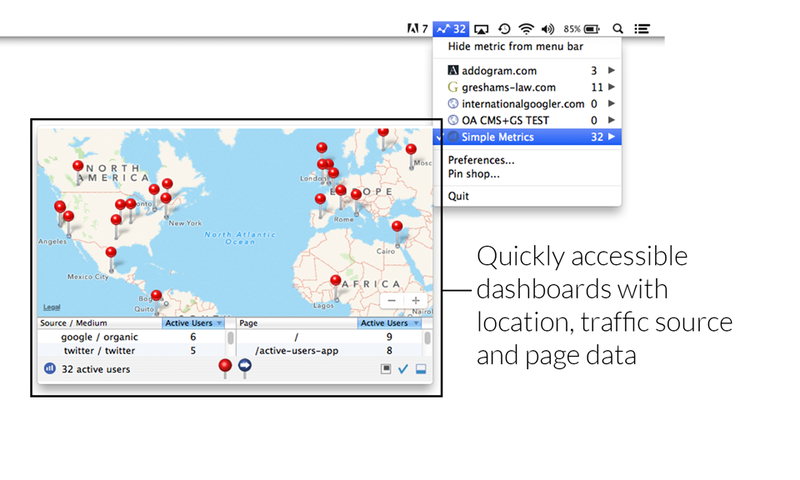 Quickly open real-time dashboards with location, source and page data. Open real-time dashboards in fully-expandable windows. Fast menu metric refresh rate. 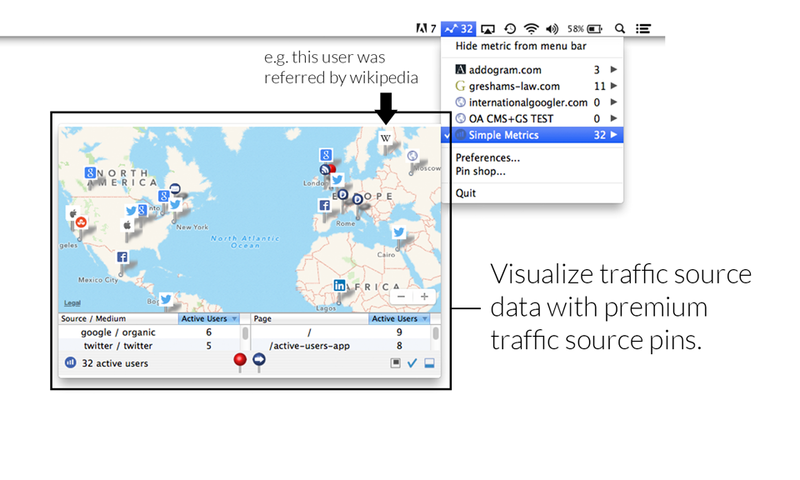 Visualize traffic source data on your dashboard maps. Instantly grasp the volume and distribution of your source data around the globe. A Google Analytics-enabled website (you can sign up for a free Google Analytics account here). Copyright © 2014 - 2017 Simple Metrics Ltd. All rights reserved. Simple Metrics Ltd. is a private company registered in England & Wales, company no. 8814369.